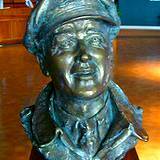 The Jimmy Stewart Museum in Indiana, PA pays tribute the life of James Stewart growing up in Pennsylvania. 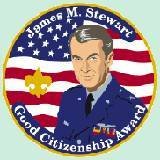 America loved James Stewart as an actor, a soldier and as a citizen of the United States. His movies have inspired us how to live a good life and as a man he loved his country and the hometown he grew up in. On August 7, 2007 there was a celebration of the release of the James Stewart postage stamp. The Jimmy Stewart Museum is located on 835 Philadelphia Street, Indiana, PA. You'll find the museum on the 3rd floor of the Indiana Free Library Building. 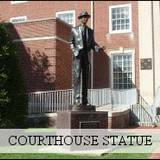 Outside the courthouse in Indiana, PA, you'll see a bronze statue of James Stewart that was dedicated to him on his 75th birthday. This statue can also be seen from the window of the library along with a view of the hardware store that was run by his family and the old courthouse clock that was has immortalized by Life Magazine of his back from WWII photo. James Stewart made a total of 81 Featured Films during his career. Most of his films are known as classics today. As an actor he could make us laugh, cry and even frighten us. No matter what role he played he always stayed true to his character of a man to be respected. 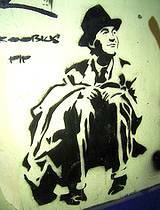 Even though James Stewart was nominated for the Academy Award for 5 of his films, he never won one. He has worked with the top names in Hollywood and has charmed most of the leading ladies. Many of his films will always be known as the best classics ever made. Jimmy Stewart did win Best Actor Award in 1940 for the Philadelphia Story. The Universal City Studios of Hollywood donated the state-of-the-art sound and projection system to the Indiana Free Library in memory of Jimmy Stewart. It's a 1930s vintage movie theater with plush velvet seats and velvet drapes. His movies are shown at scheduled times during the hours the museum is open. As you browse through the museum you'll see original movie posters and photos that start from the 1930s. You'll see modern art of his work and old awards that actually started back when he was in the Boy Scouts. Boy this picture takes you back to the days when radio was a lot more popular than TV. 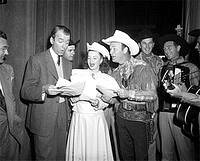 Here James Stewart is singing with Roy Rodgers and Dale Evens on their famous radio show. Who can forget their famous song, "Happy Trails to You"? 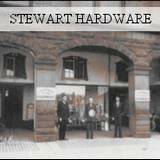 Browsing through the Jimmy Stewart Museum will bring you a few steps back in time and reintroduce you to times when life seemed simple and uncomplicated. You'll quickly discover the quiet magic of growing up in a small town in Pennsylvania and how it shaped the character of a man we grew to love. When I think about picking a favorite James Stewart movie it's awfully hard to pick between the classics I have watched so many times I couldn't possible count. 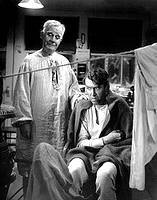 But as far as the one I know I have watched the most is without a doubt "It's a Wonderful Life." I can't imagine going through a holiday season without watching James Steward and Clarence the angel. There's a life lesson in that movie that needs to be renewed year after year. Our family tradition is to trim our Christmas tree while watching this movie. Before I know it, every member of my family is sitting down and watching the movie and forgetting about the tree. 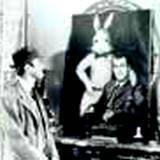 Who didn't fall in love with Elwood and his famous Pooka, Harvey? I have watched that movies probably 30 times and every time I watch it, I laugh out loud. It's rare to find movies today made with this kind of humor and give you that feel-good feeling when you leave the theater. 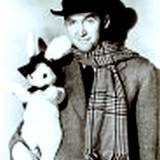 That was the kind of charm James Stewart had and it came through no matter what character he was playing. "If I had my career over again? Maybe I'd say to myself, speed it up a little." "My mother approved, my father just didn't accept the idea of my being an actor. I think that's the reason he kept the hardware store in operation, because I think he was pretty sure that I was going to be found out sooner or later, and he wanted to have a job for me to come back to." "It's well done if you can do a part and not have the acting show." When it came to kissing, Harlow was the best." 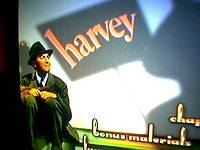 "I'd like to do Harvey again. I did it two years ago with Helen Hayes in New York. It was a joy. I was so glad to do it again because I never thought I did it right the first time." 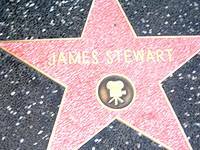 Even though James Stewart was most famous for his acting career and got a star on the Hollywood Walk of Fame most people don't realize he had a real love of poetry. Unless you're old enough to remember Jimmy's appearances on the Johnny Carson show you probably never heard some of the poetry he wrote and loved to read when appearing live on the Carson show. 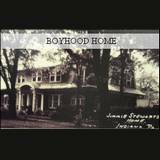 Take the time to stop in Indiana, PA and see James Stewart's boyhood home, the hardware store his father kept just in case his son needed to come home are work and most of all, visit the Jimmy Stewart Museum, you'll love every minute of the tour.